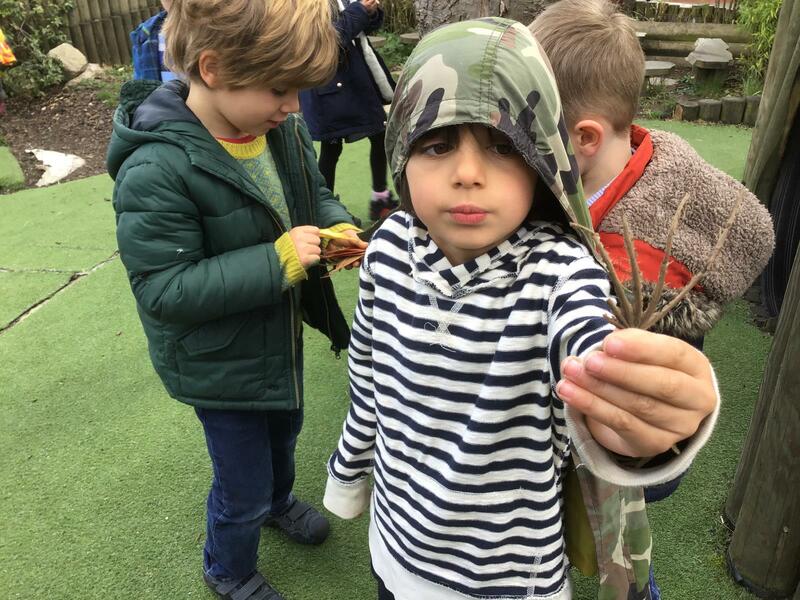 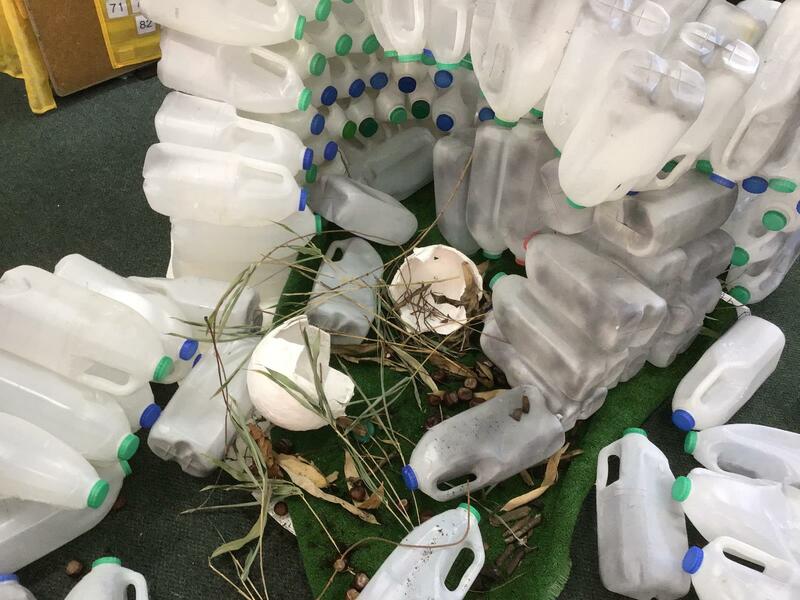 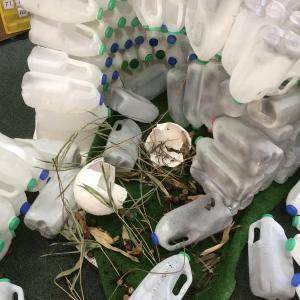 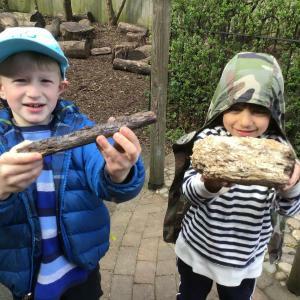 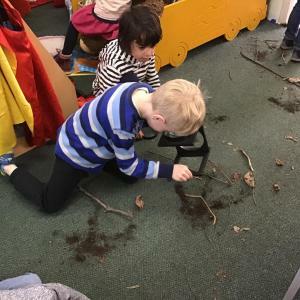 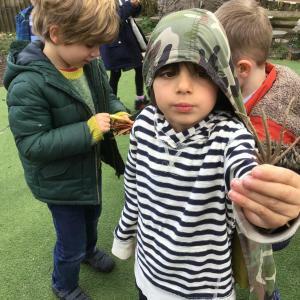 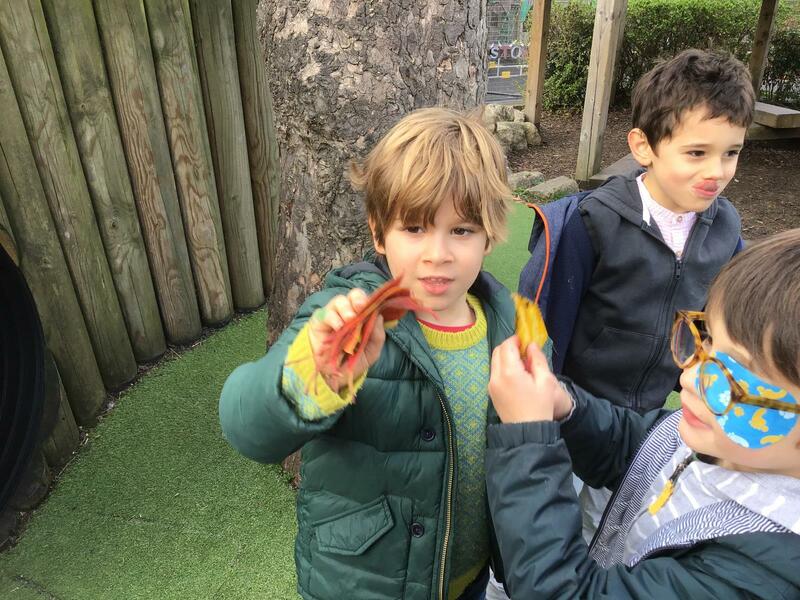 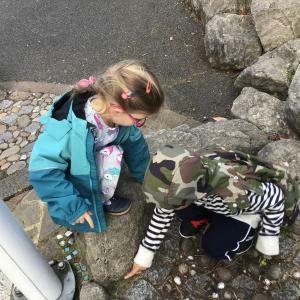 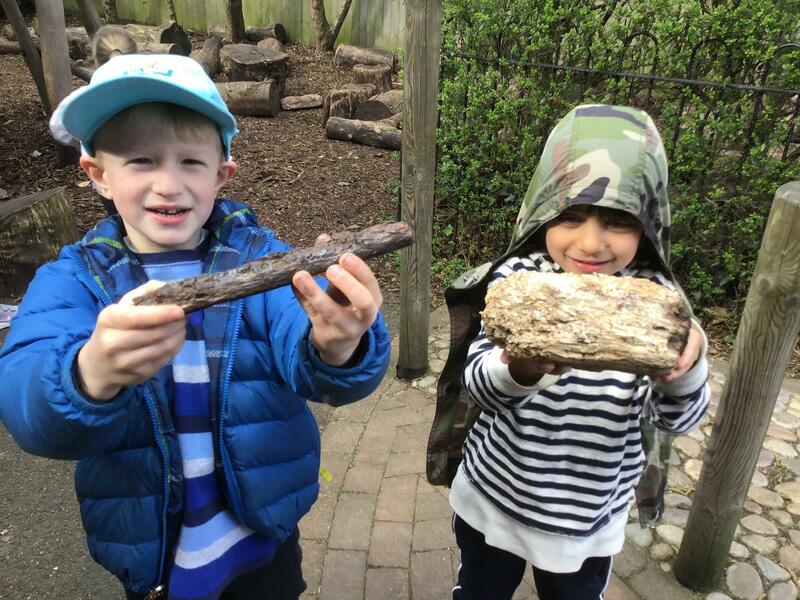 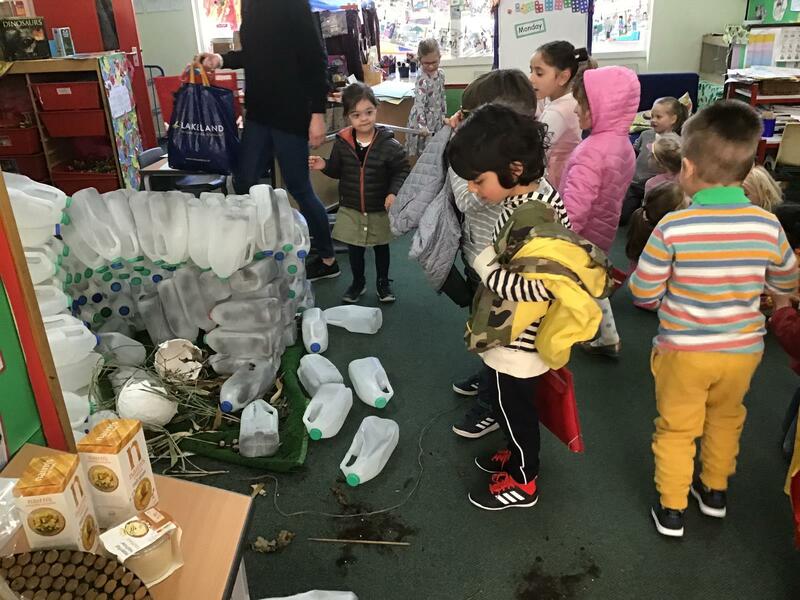 When we came to school last week our lovely dinosaur cave had been knocked down and a huge egg had appeared inside it with lots of sticks and leaves. 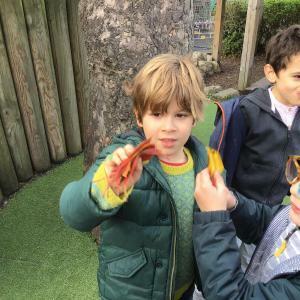 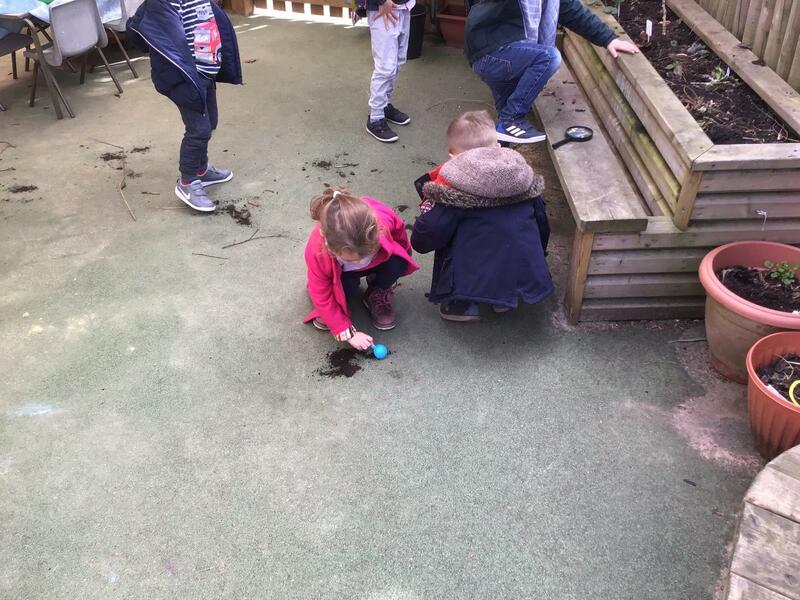 We thought hard about what it might be inside the egg and how it had got there. 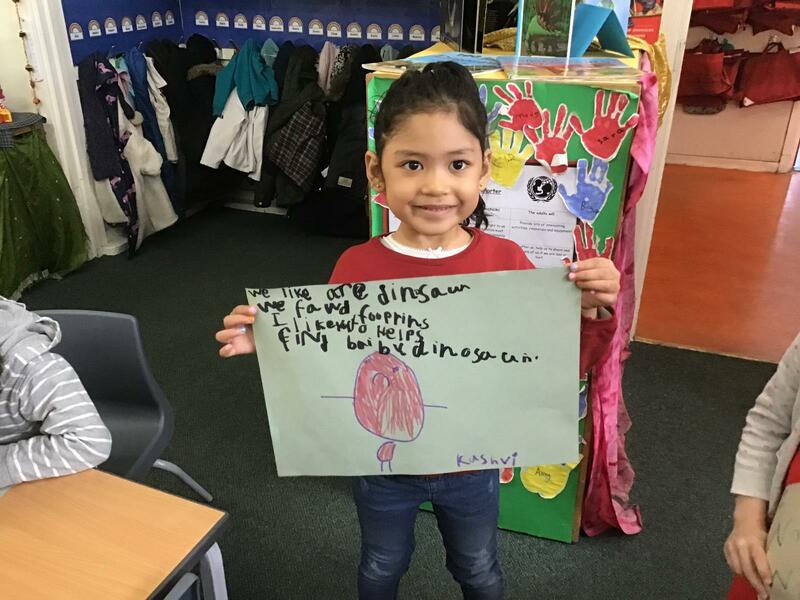 We decided it might be a dinosaur egg because we saw the maiasuarus eggs at The Natural HIstory Museum. 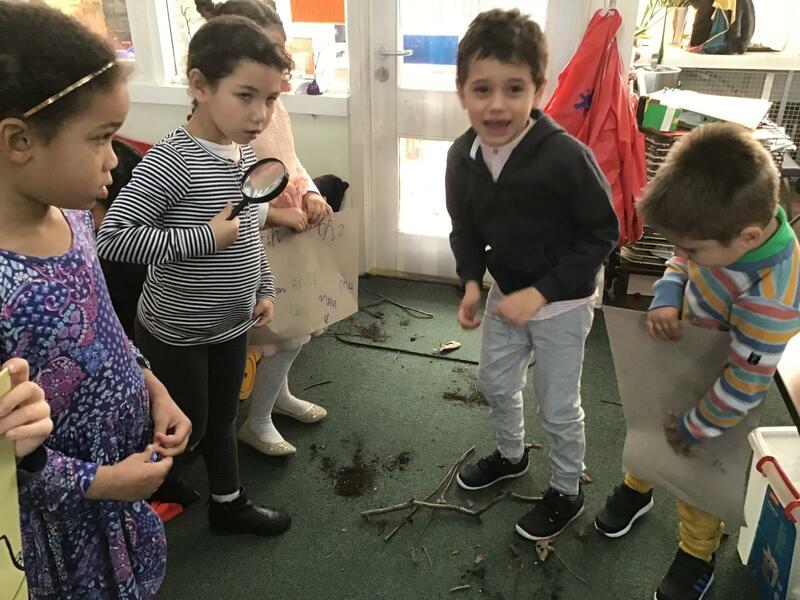 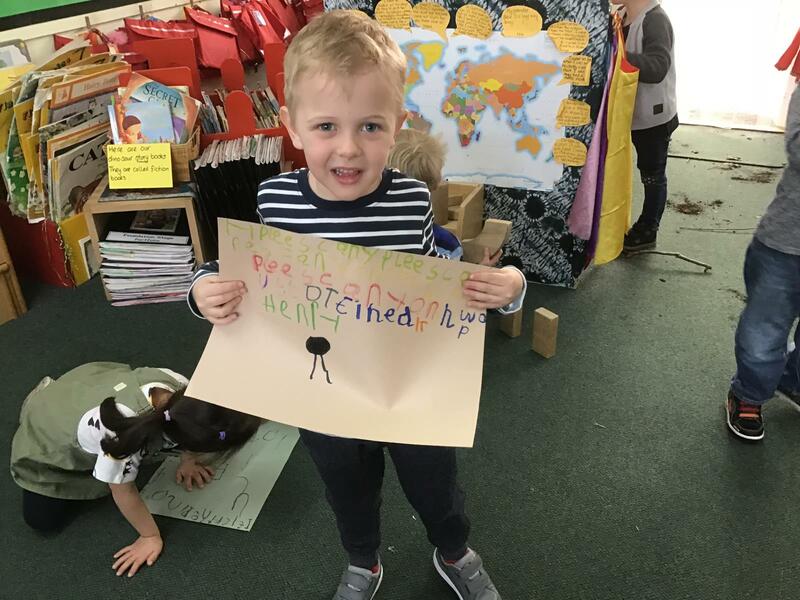 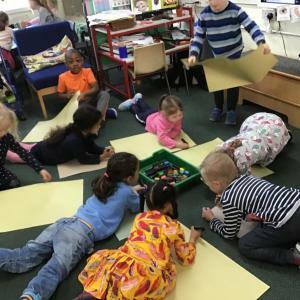 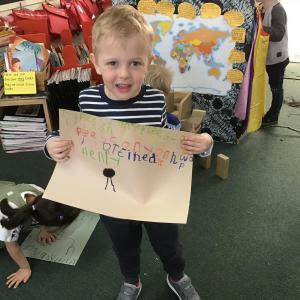 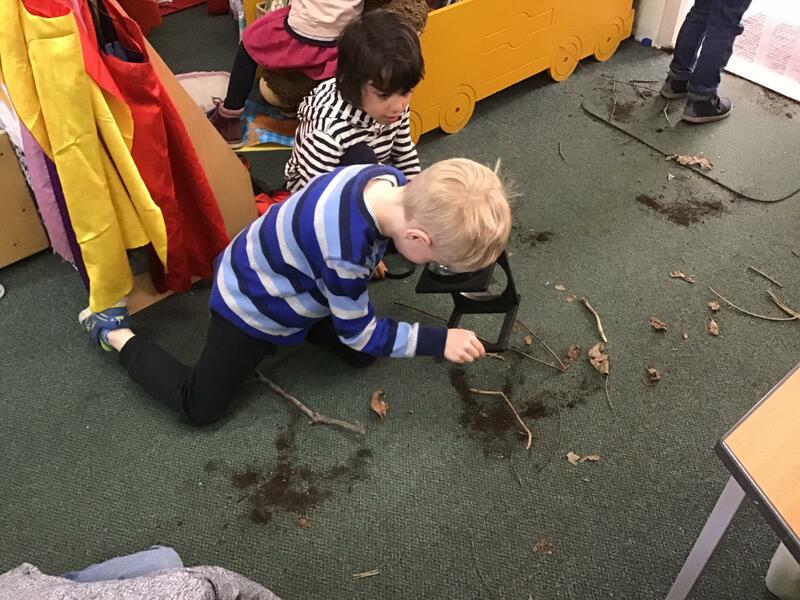 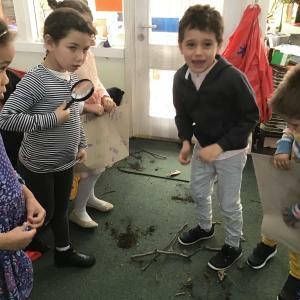 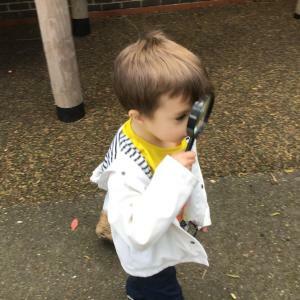 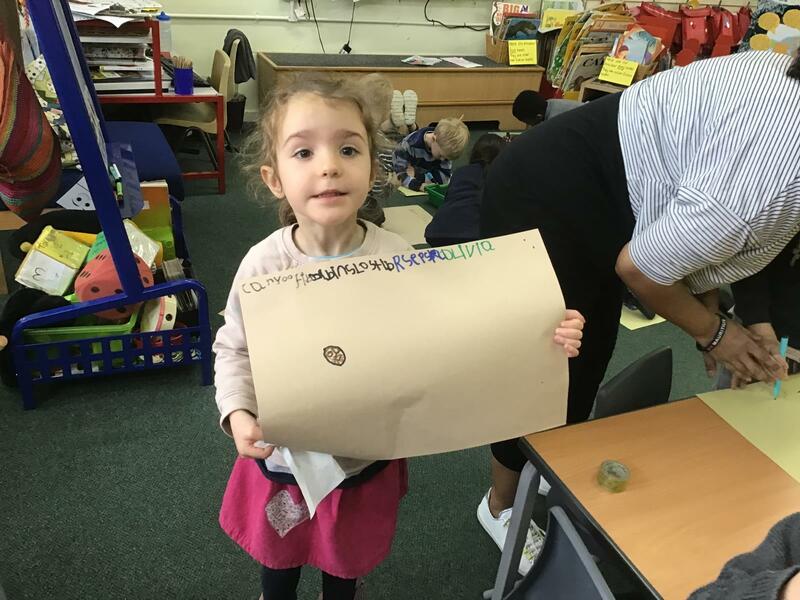 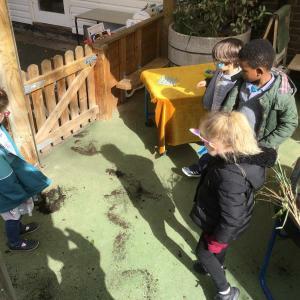 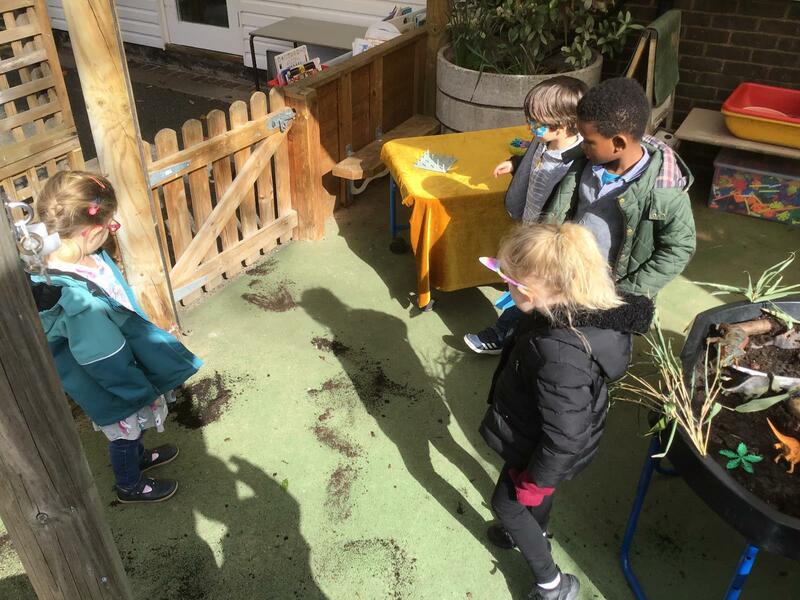 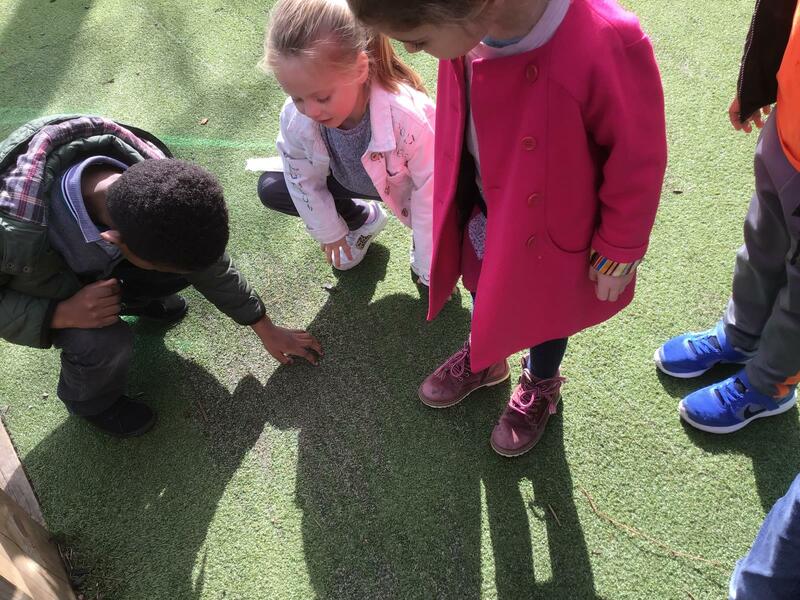 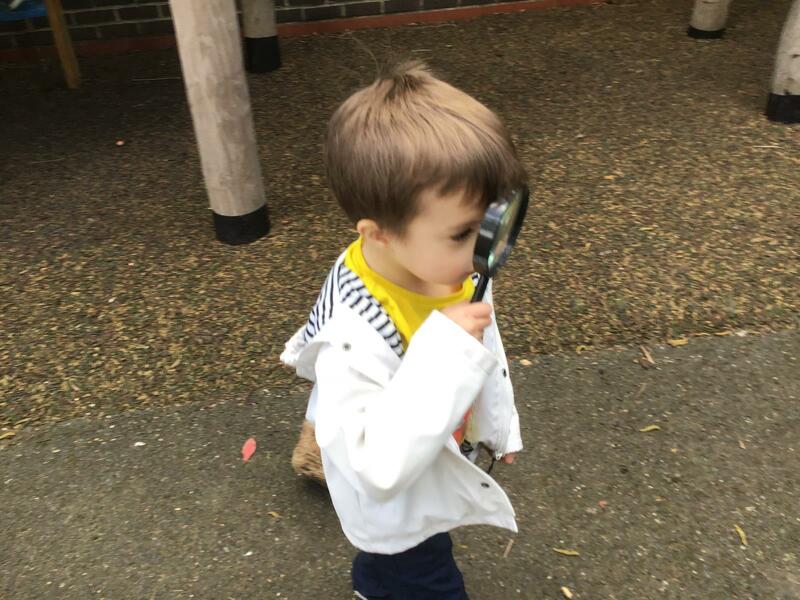 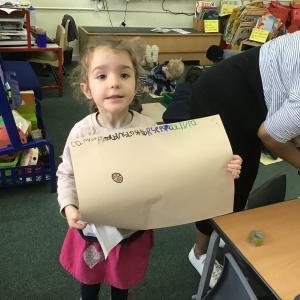 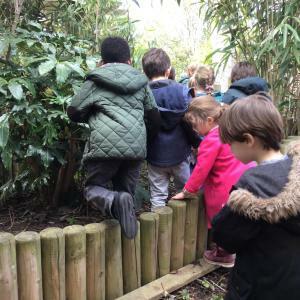 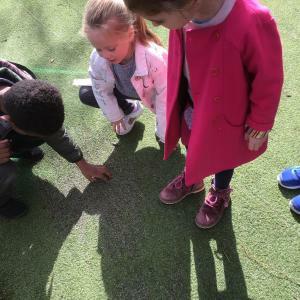 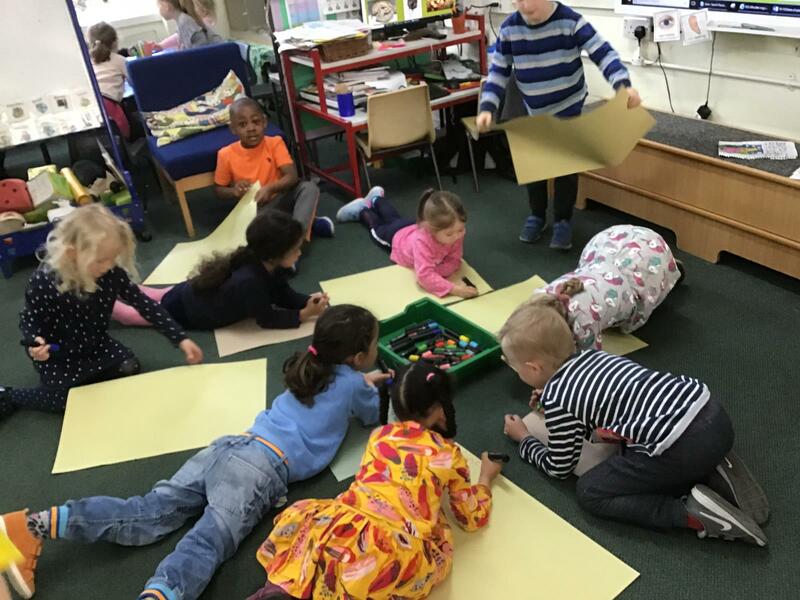 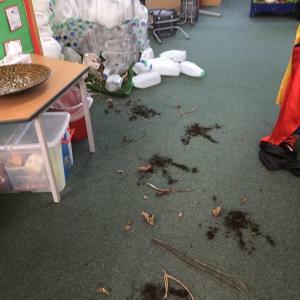 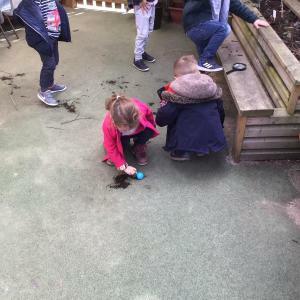 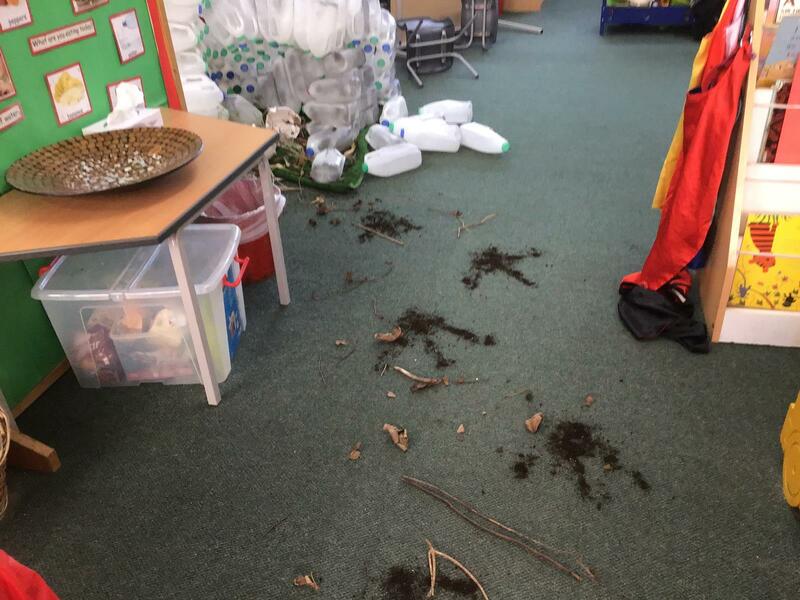 When we came to school on Monday morning our egg had cracked open but here was no dinosaur to be found, only lots of big footprints leading to the garden and a big mess in the classroom! 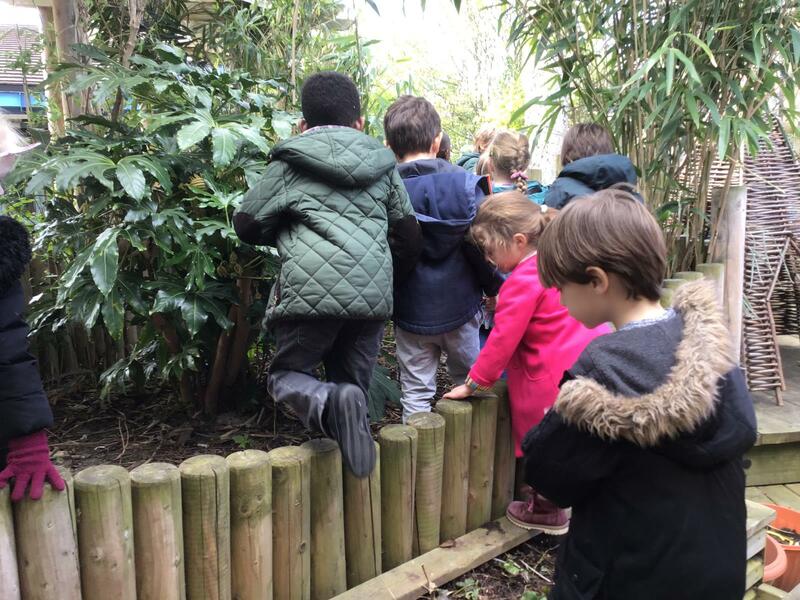 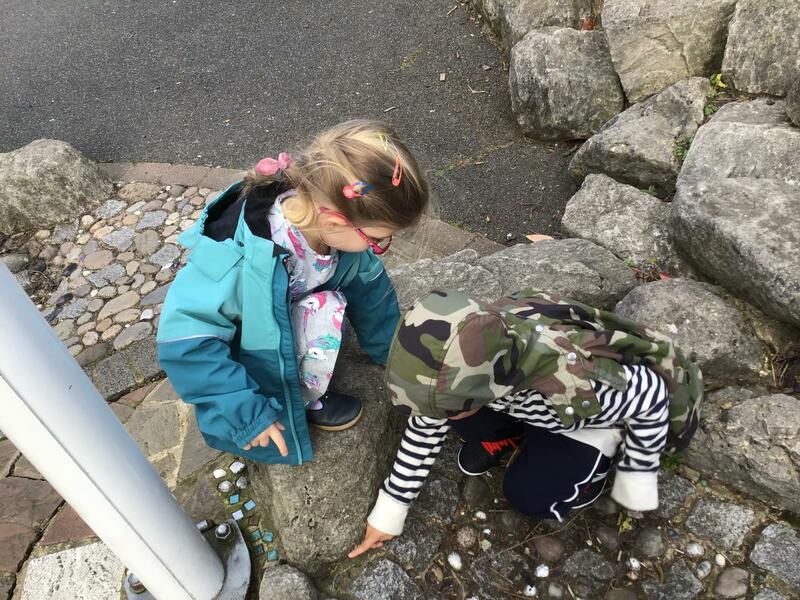 We had a good look but we couldn’t find a dinosaur, although we did find lots of clues. 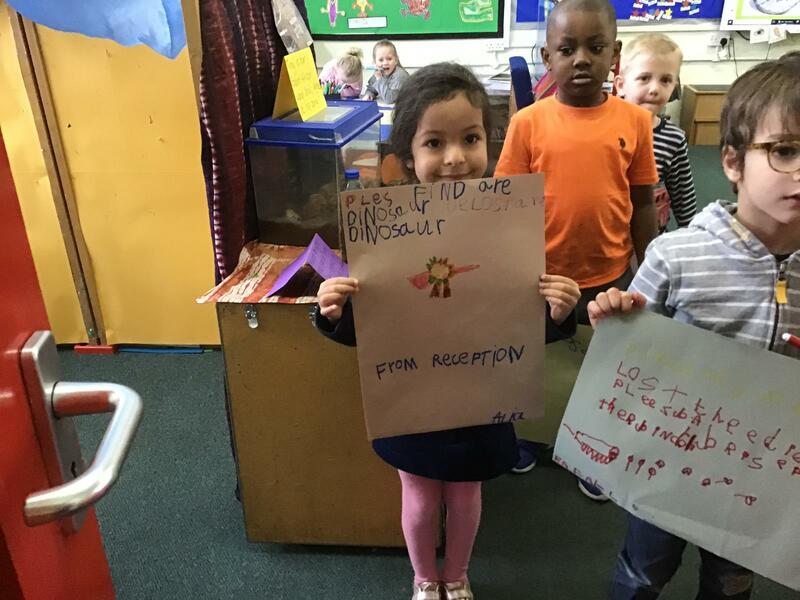 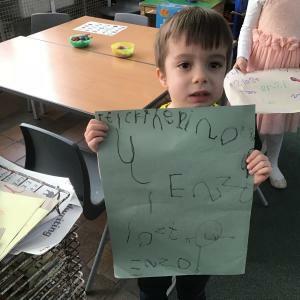 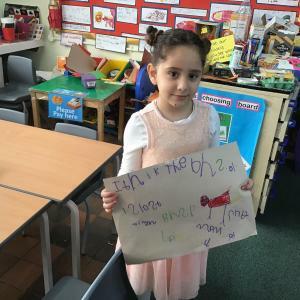 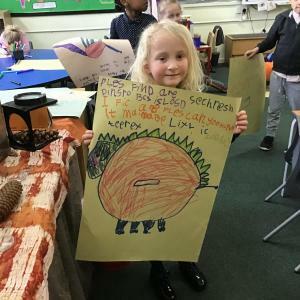 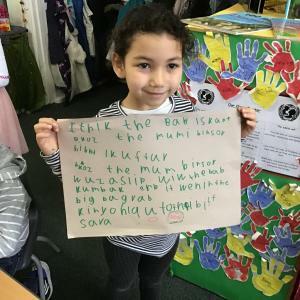 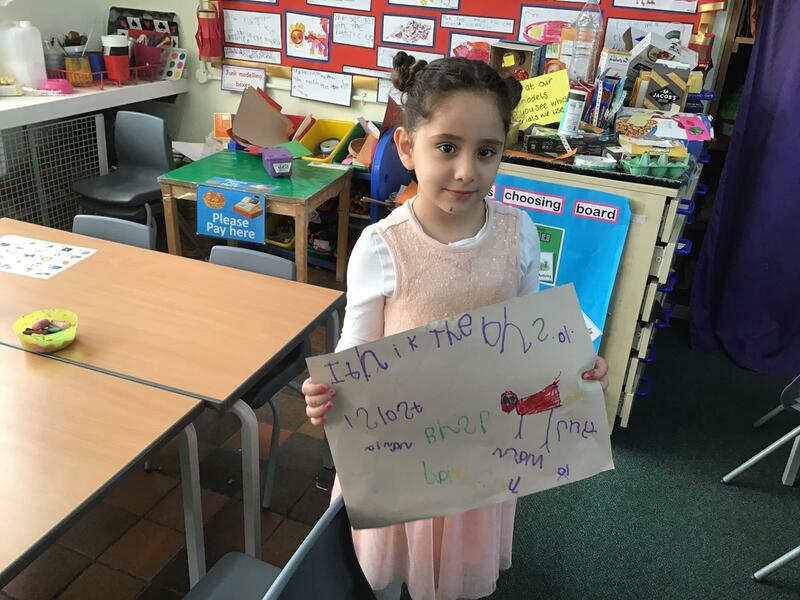 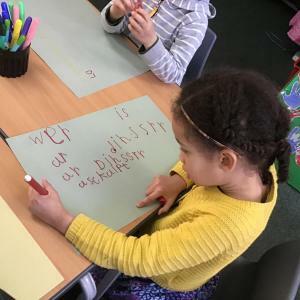 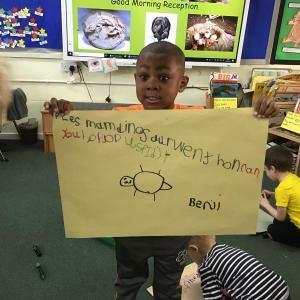 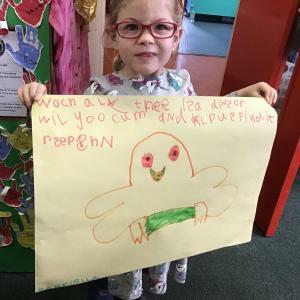 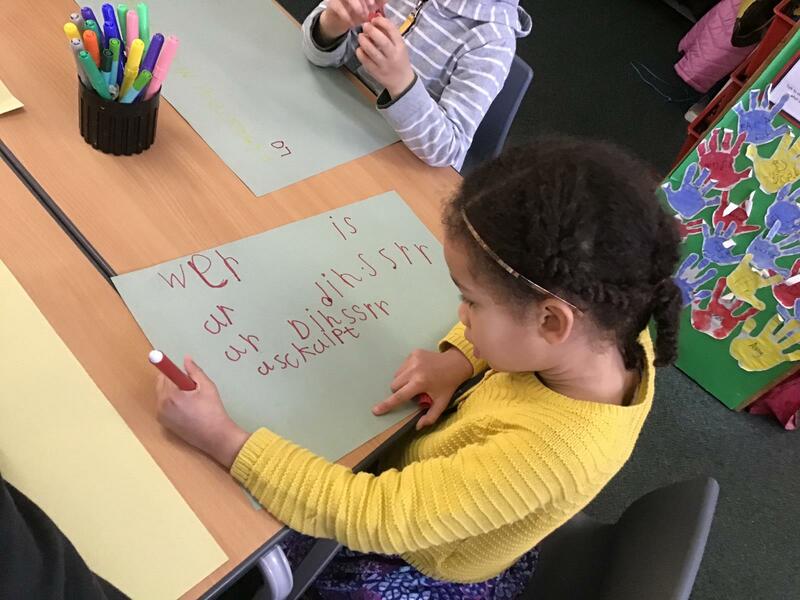 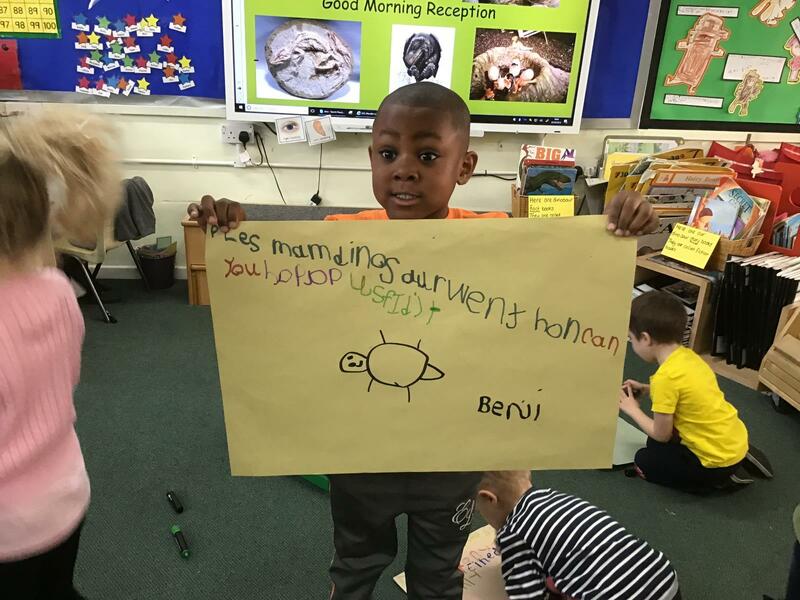 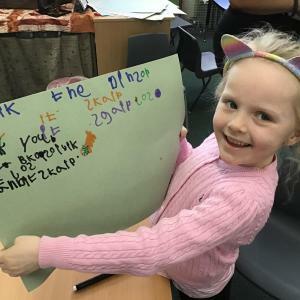 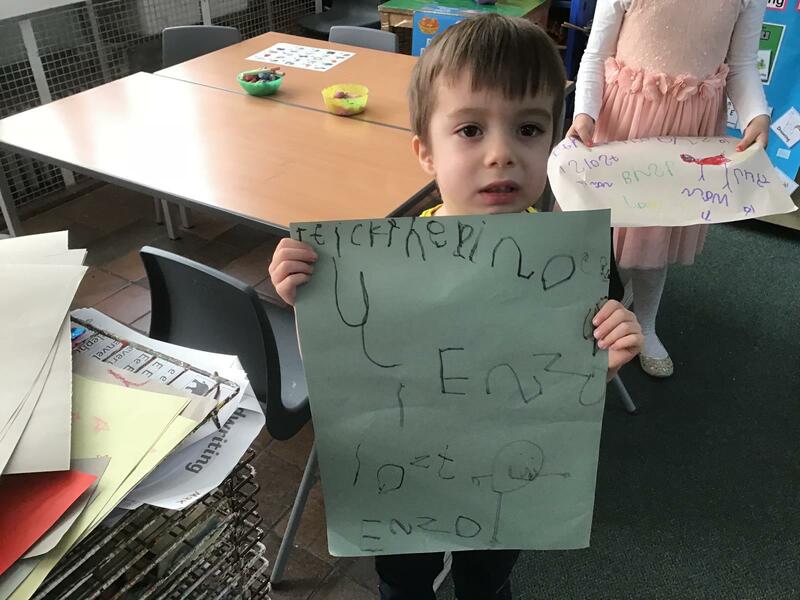 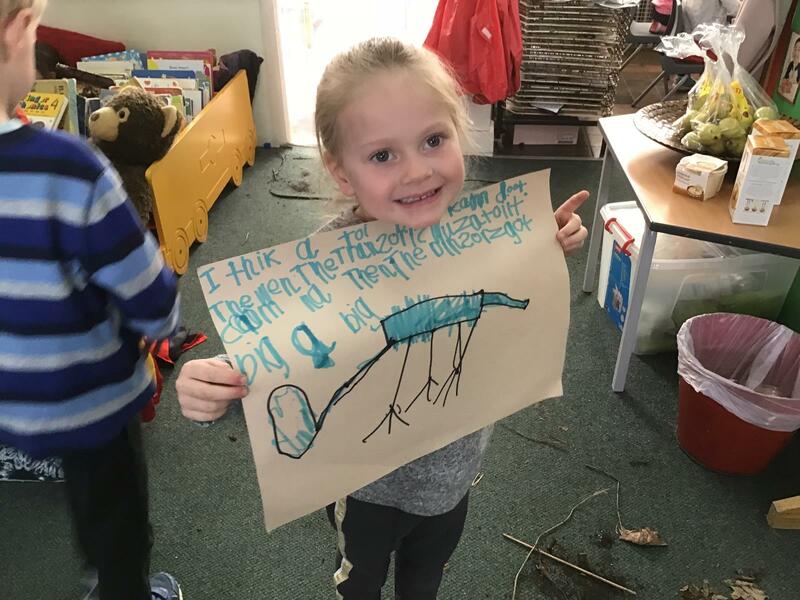 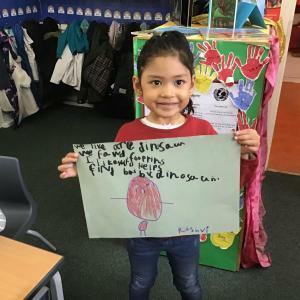 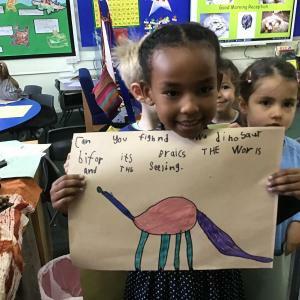 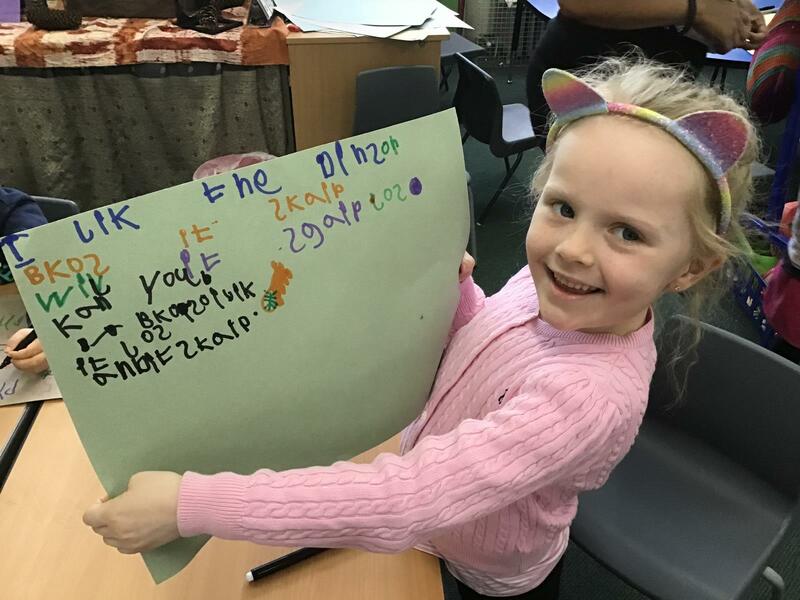 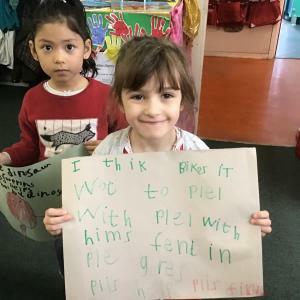 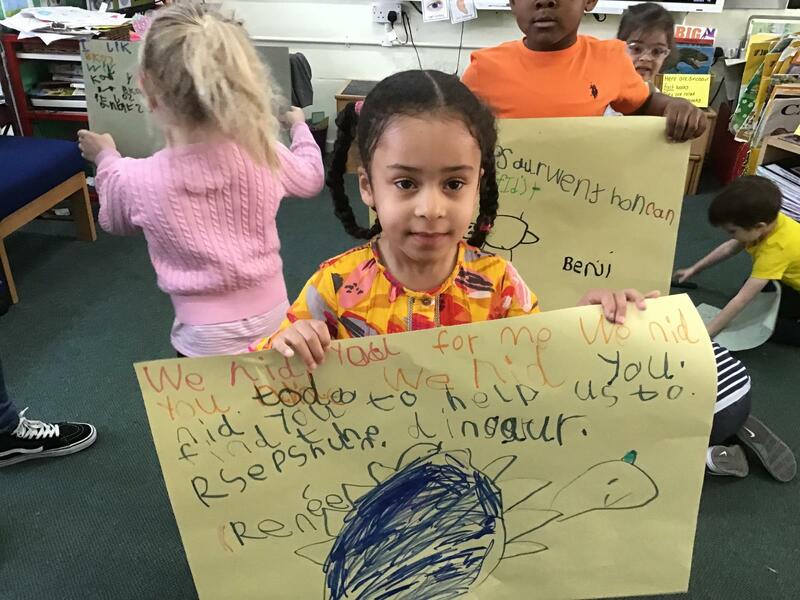 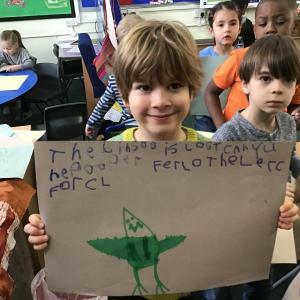 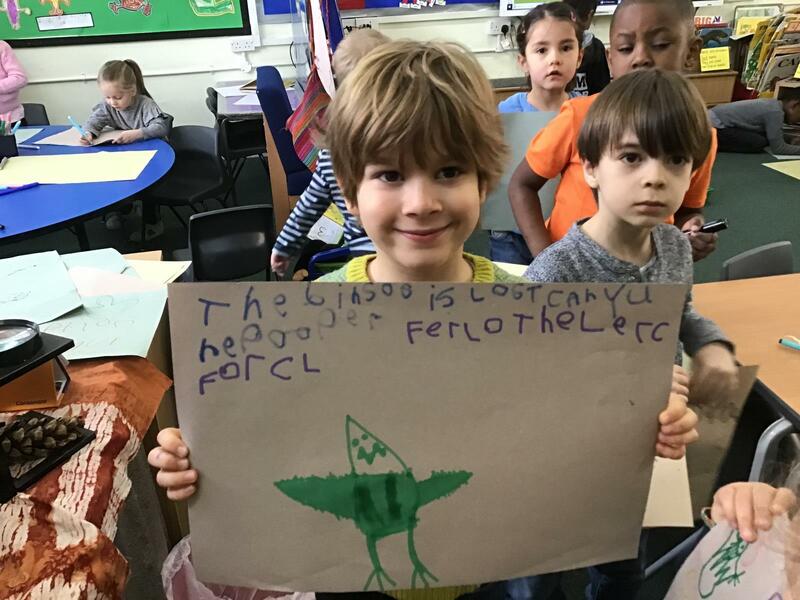 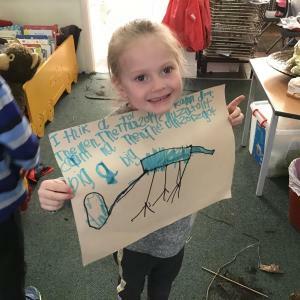 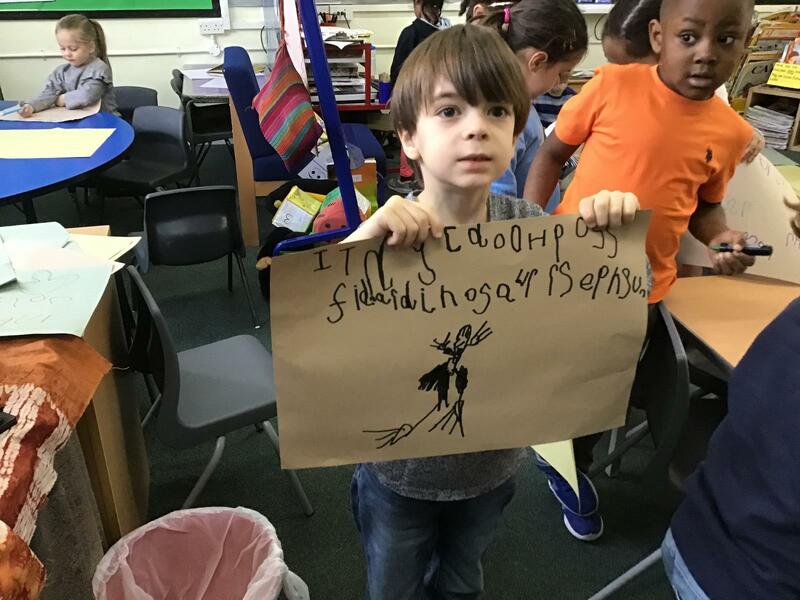 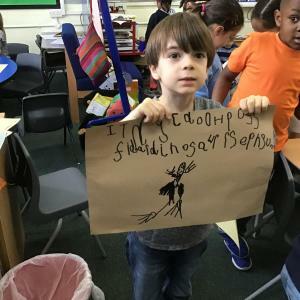 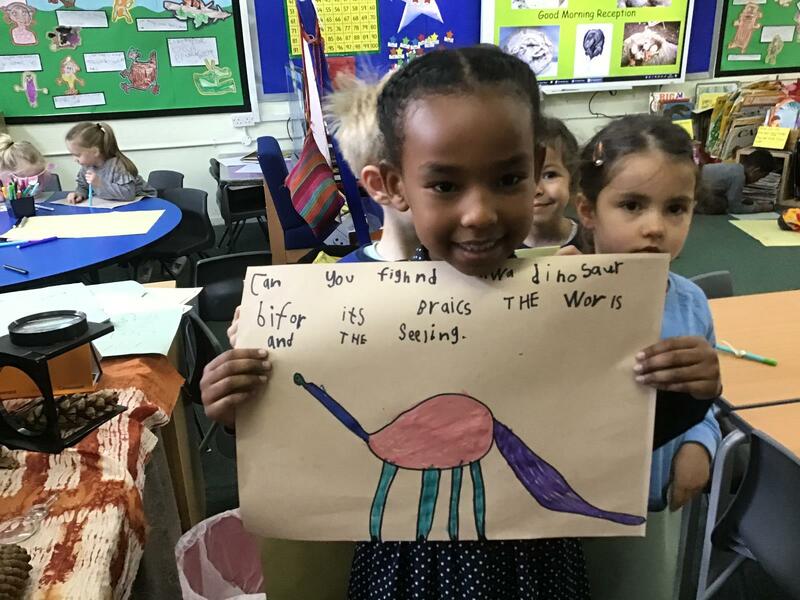 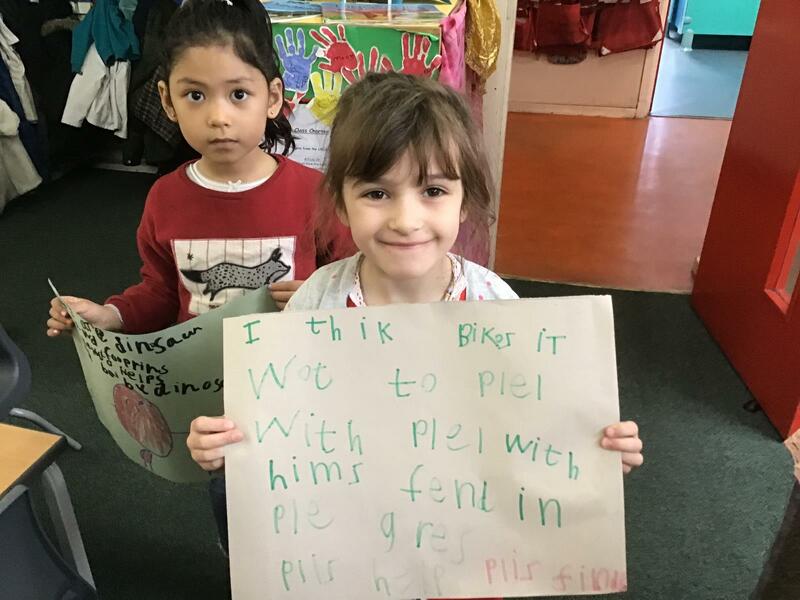 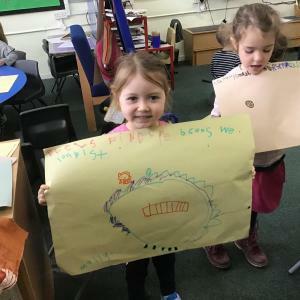 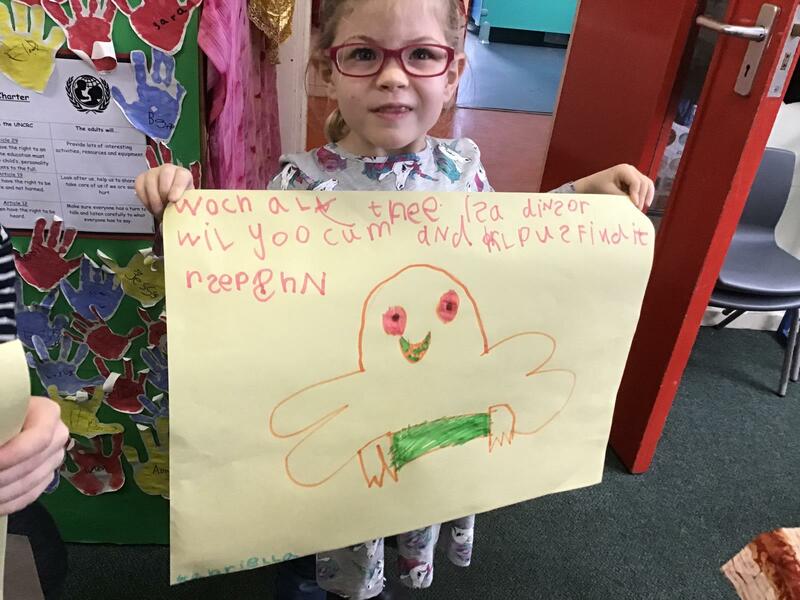 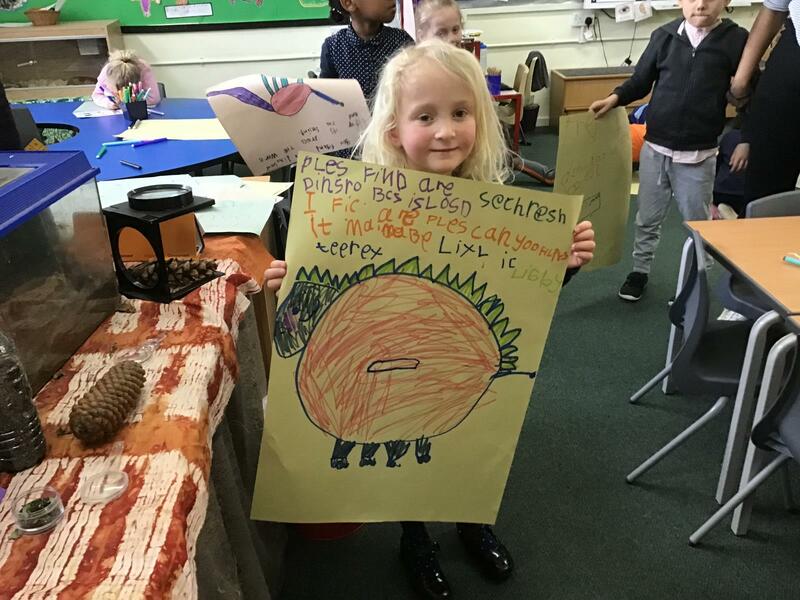 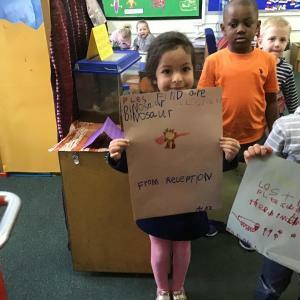 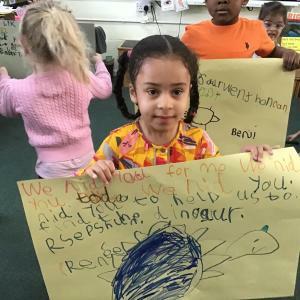 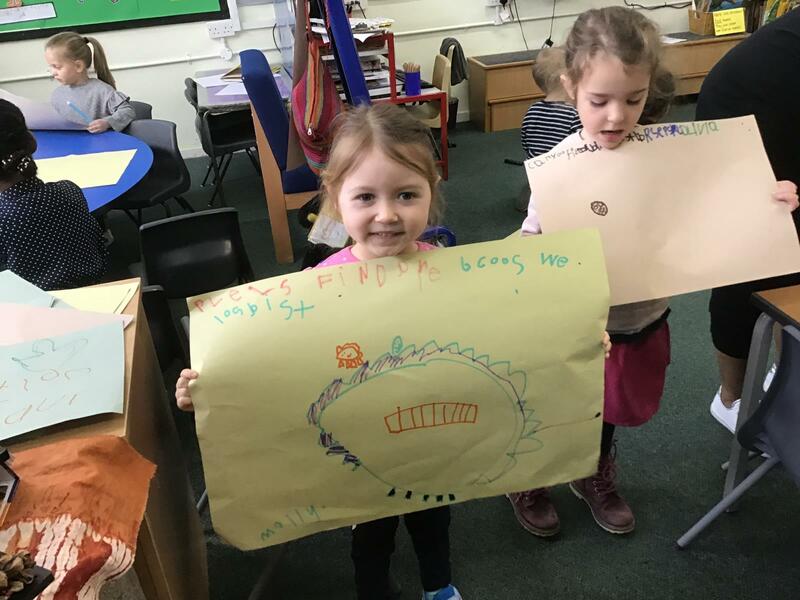 We thought it would be a great idea to write posters to ask our friends all around the school to help us look for our missing dinosaur. 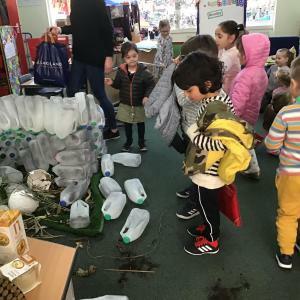 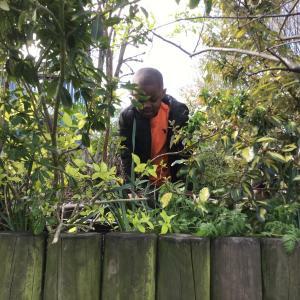 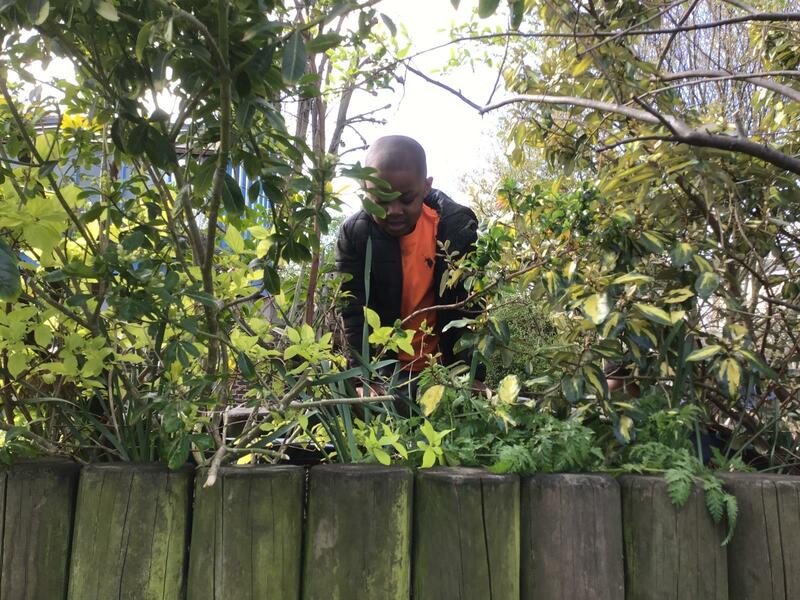 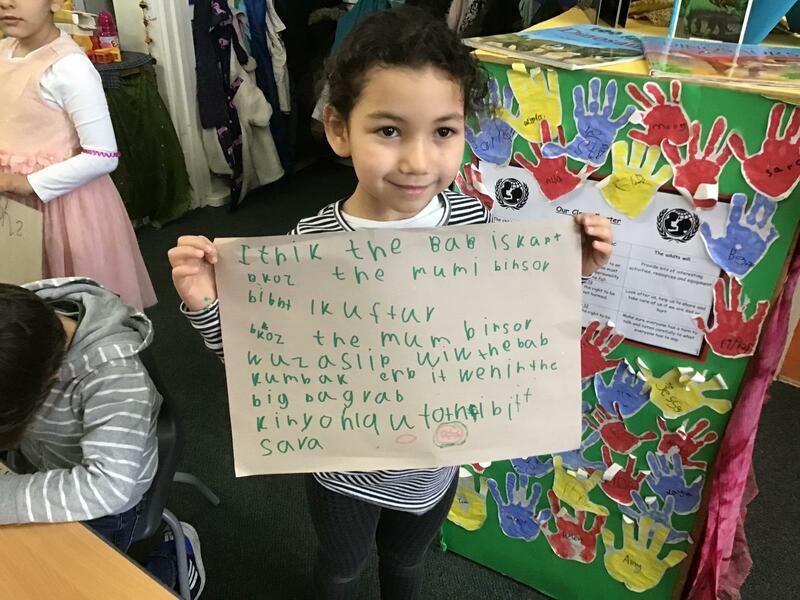 Have a look at the photos of our very busy day!